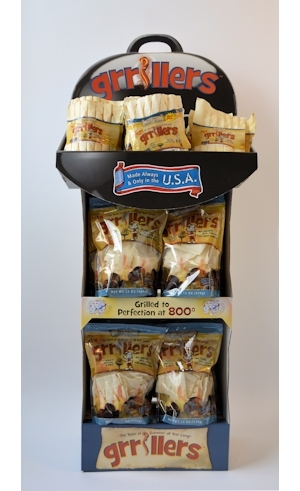 Canine Butcher Shop has been providing healthy and nutritious snacks for dogs since 1996. All of our products are handmade and processed in our plants in Chicago, Illinois. Unique taste and texture combinations keep dogs interested in CBS products promoting extended chew time which helps in maintaining your dogs dental health. All rawhide, pork skin, beef pizzle and body parts are sourced only from the USA, our products are never supplemented with imported product. Grrillers are grilled at over 800 degrees which locks in the flavor that dogs go crazy for and Grrillers are made from the thickets connective collagen tissue available. Our beef hide is a natural source of glucosamine and chondroitin. Canine Butcher Shop is Phillips exclusive line of products.